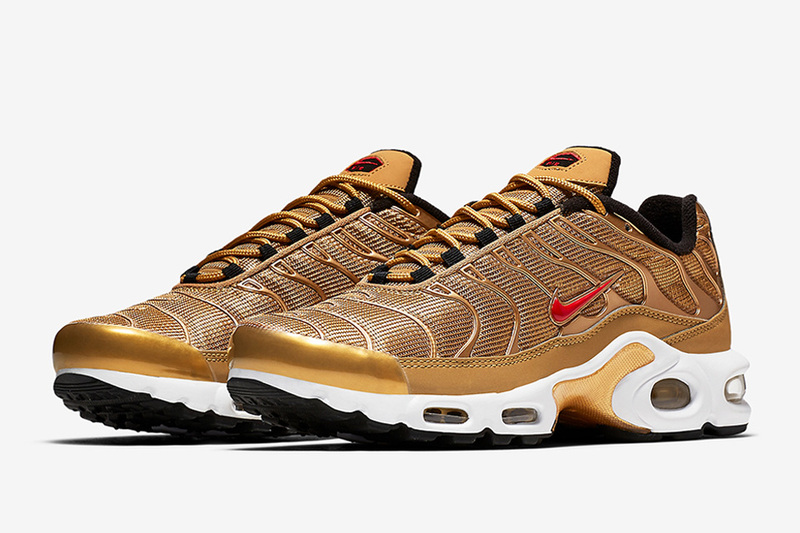 The Metallic Gold colourway stays true to its original aesthetic thanks to its thick midsole which hosts a visible Air Unit. 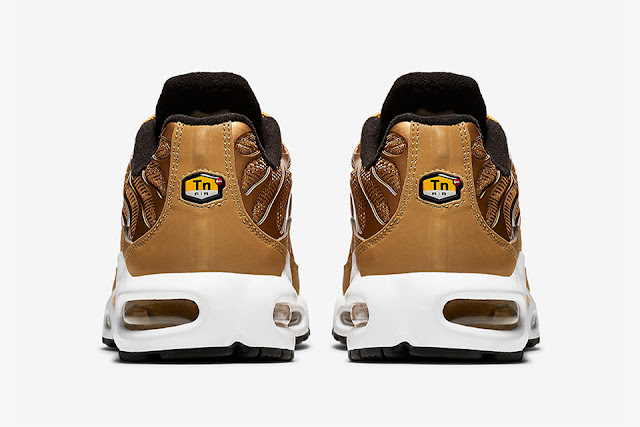 Its upper commands the most attention and Swoosh branding on each heel’s lateral side. 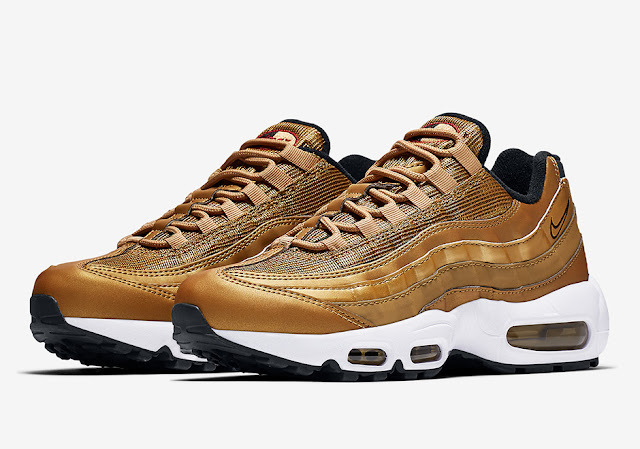 Nike branding is also placed on each tongue and heel for its finishing touches. 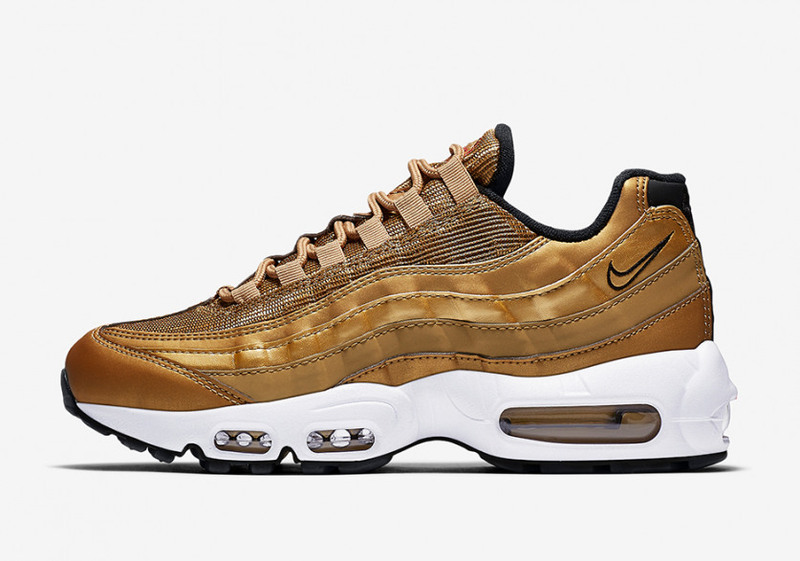 The Nike Air Max Metallic Gold Pack is available at selected retailers.